Posted: Sat Dec 30, 2017 1:11 pm Post subject: Fire TV IR via Onkyo - works! I got an Amazon Fire TV stick for Christmas, which is nice because I have a Prime account but I had no way to watch that directly on the home theater. As most of you may know, the Fire TV stick is bluetooth control only, and comes with a sad little bluetooth remote that doesn't perform all that well, presumably due to signal/path issues. I plugged it into one of the HDMI inputs on my Onkyo TX-NR709 receiver and it works fine except for having to juggle two remotes and the remote signal issues (mainly sluggishness). So I dug around Google for IR solutions and discovered the stick supports CEC. After some more digging and trying more obvious things that didn't work, I found the tab in the Onkyo code list labeled "BD (via RIHD)." 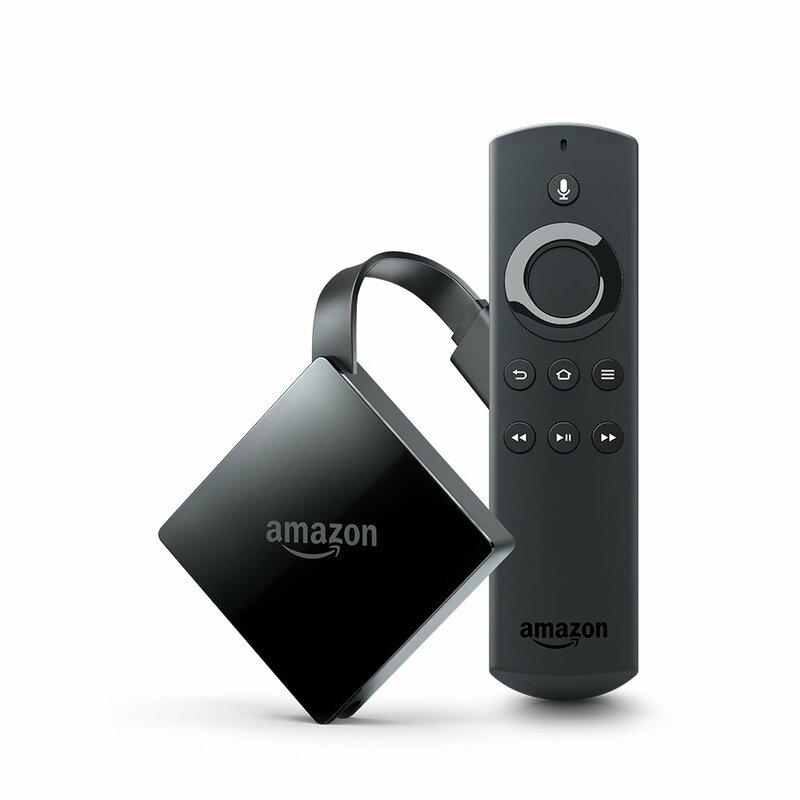 These codes operate the Fire TV, including all functions from the original and some others that aren't, and much more snappily than the bluetooth remote. I have posted an upgrade at http://hifi-remote.com/forums/dload.php?action=file&file_id=25038 . In theory, the functions should operate any CEC capable input device to a greater or lesser degree. "HDMI Control" must be enabled under the receiver main setup menu>Hardware setup>HDMI. When you exit the menu you'll briefly see "Searching" then "Player" "Fire TV Stick" on the receiver display. Great find. CEC control of Fire Stick works pretty with my Sony, Toshiba and Vizio TVs as well since they have a full set of nav, transport and menu commands. Just in case some are looking for other ways to go about controlling their FireTV and other streaming devices with USB ports, you can also just buy an MCE remote like the one linked below. The IR dongle that comes with it will allow you to control your Fire TV and many other streaming devices with a USB port with your JP1 Remote. I just learned the relevant keys and it works perfectly. This also adds some new remote functions that are not available on oem remote. Interesting, but I'm missing how this works. How does it go from dongle to stick? PC required? Does it use Bluetooth or the WiFi network to connect to the stick? Interesting, but I'm missing how this works. The USB plugs into the back of the Fire (not all Fire TVs have the USB plug). The ir dongle receives the IR and converts it to keyboard commands (as though a USB keyboard were plugged into the Fire). EDIT: I just re-read your original post and realized you have the Fire TV stick, which does not have the USB plug that is on the Fire TV gen 1. You can achieve the same thing with FLIRC. Since there is no cord on the FLIRC and the USB plug is on the back of the Fire, you either need a short USB extension cord or instead I used a small mirror like THIS just behind the Fire to reflect the IR signal to the FLIRC. The CEC solution is more elegant if you can make to work. I made the edits. Thanks for the heads up. The stick does have a micro USB jack, which I had assumed is for power only, which may or may not be true. Even if it would work, it would still have to supply 5W of power some way. The CEC requires no other equipment/wiring and works great. It's just odd the way Onkyo uses a different code set for CEC control vs the standard codes that the receiver uses. I wasn't even able to get the original remote to do it, although I assume there must be some device code for it. I can see the logic in doing it this way though, it allows more commands without conflicting with the receiver menus/power etc. Yeah, the IR dongle only works on the Fire TV box, not the Stick. Your CEC solution is the best way to control a stick. I've found that my Ortek IR dongles work as well as the MCE ones for a Fire TV Box, and they're a lot smaller than most MCE dongles. FLIRC is of course the most flexible since you can use any codes you wish. I finally found the missing piece of the puzzle for fully controlling Fire TV via Bravia Sync HDMI CEC commands to my Sony TV. Bravia Sync commands exist for everything on a Fire TV remote EXCEPT the Menu (hamburger) button. But I found a way to access it with a macro. If you send a Sync Menu command, you get a pop-up on the TV. Then arrow down to Device Control, then to Content List, and that will send the Menu command. So my Menu is now a macro consisting of the above steps. I had to put 250ms delays between each step except when I have 2 of the same commands in a row. In that case I had to bump the delay up to 400ms. I have a pretty old TV, so newer ones might work with shorter delays. I had to go back to this method of control since I replaced my box with a stick. 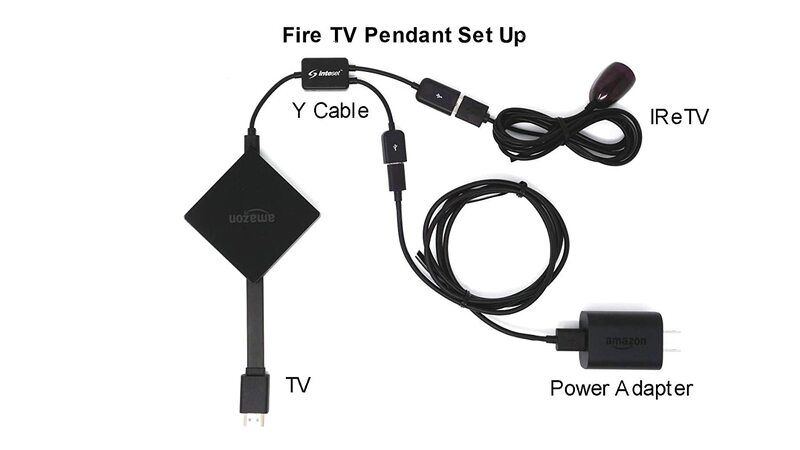 mdavej, I've got a"micro OTG cable" (ex: https://www.amazon.com/dp/B077VT6CGR/ ) that gets 5V to the Fire TV box and adds a full size USB socket (designed originally to add an ethernet-to-USB adapter to add wired internet to the Fire TV box). I want to try the method you suggested. Must I get a FLIRC IR receiver, or will an IrDA adapter work? Fire TV box already has a spare full-size USB port and would not need such a splitter at all, only one of the IR dongles mentioned earlier. Are you talking about a stick? I don't know if a splitter will work with FLIRC, etc. or not. Definitely not IrDA as that's not designed for "consumer" IR that remotes use. But this works for sure. I'm using it on my Fire stick. Thanks for your reply! I have the Fire TV "pendant." There's only one micro USB port, just like the Stick. No reason it shouldn't work. Off to Checkout! Thanks again, mdavej! Hey Dave, why don't you add a 2nd review on the Amazon page explaining how to make it work, so that this one review doesn't scare people off. Looks like the reviews of the device without the USB adapter are stellar and confirm the correct code set and Harmony functionality.